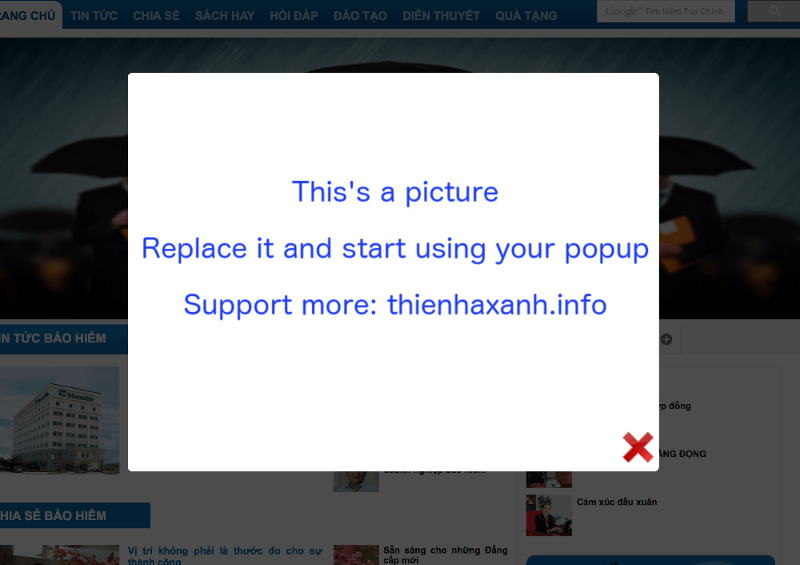 A very simple way to display popup in your site. 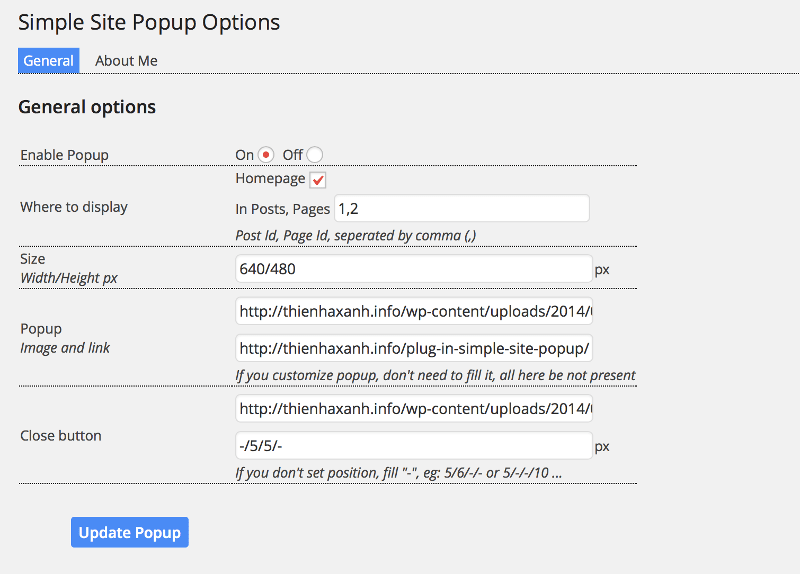 With this plug in, you can open a popup in Homepage, a post or a page or wherever you want. 2. Activate the plugin through the Plugin menu. 3. Go to menu Plugins/Simple Popup to set pop up, close button, post, page you want to open pop up. 4. OTHER WAY to USE: if you’re good with step 3, don’t care this step. If you want to open pop up in a custom page, post, or somewhere in you theme, put the code: <?php if(function_exsts(‘simple-site-popup’)) simple-site-popup();?> before </body>. My plugin requires jQuery library. Make sure you’ve included jQuery library. Sure, in plugin menu, you fill to the field Where to Display. You can fill POST ID, PAGE ID; 1, 2, 3 or more. Seperated by comma “,”. 1. Open popup in homepage. 2. Plugin options in admin menu.